Green Leaf products are made from 100% Hemp Oil Extract. 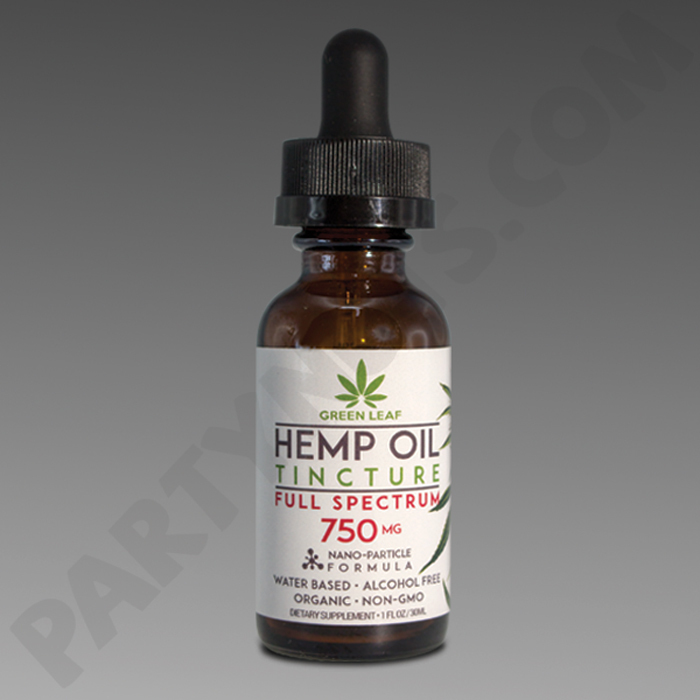 Green Leaf Tincture 750 mg Full Spectrum 30ml. Nanoparticle Formulation. all Full Spectrum products we offer contain less then .1 of 1 percent of THC. The Federal allowed THC in any product derived from Hemp is .3 of 1 percent by dry weight. Another awesome product by The Colorado CBD Company. All products from The Colorado CBD Company are made of Commercial grown Hemp, not Cannabis.